Posted on May 23, 2014 at 5:30 pm. 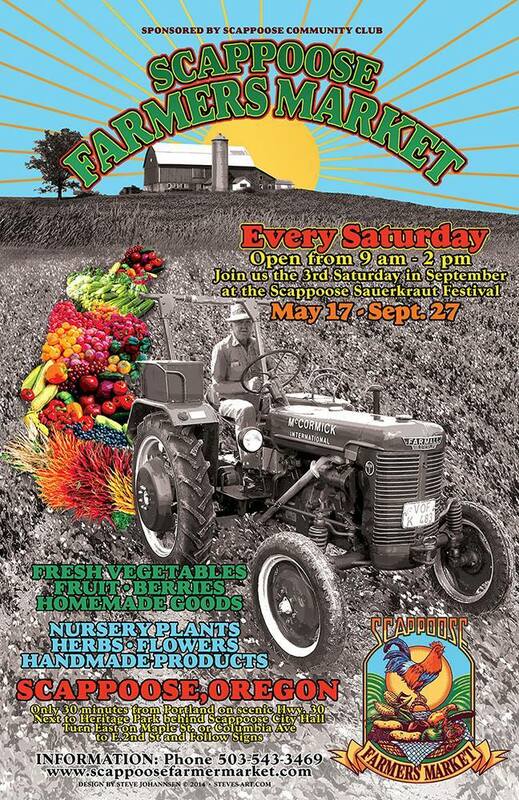 SCAPPOOSE — The Scappoose Farmers Market has returned for its 12th season. Vendors will sell goods from 9 a.m. to 2 p.m. Saturdays through Sept. 27 in the Scappoose City Hall parking lot, and along Southeast Second Street, off of East Columbia Avenue. Shoppers will find fresh, locally grown vegetables, fruits, and seasonal Oregon berries, as well as nursery plants, herbs, flowers, handcrafted items by local and regional artisans, and other items for sale. On average, the market features between 22-24 vendors a week. For those who are interested in selling their wares at the market, contact the Scappoose Community Club for information about guidelines and fees. 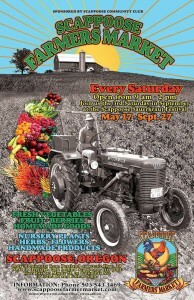 Details: call 503-543-3469, e-mail scappoosefm@gmail.com, or visit the website www.scappoosefarmersmarket.com.